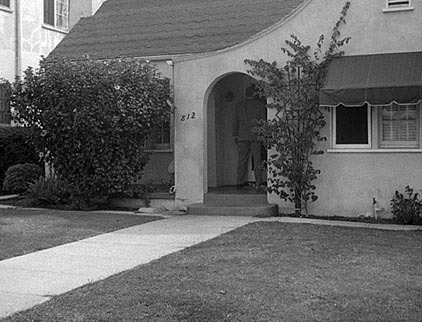 This house is also seen in episode #97. More information about it can be found in the Trivia section of that episode. More pictures, some recent, can be found here. That's Paul Drake standing at the doorway.